BROWARD COUNTY, FL - Broward County&apos;s Port Everglades will welcome Silversea Cruises&apos; newest cruise ship Silver Muse on October 12-13, 2017, and Port Everglades will continue to serve as the ultra-luxury line&apos;s winter homeport for the next two years according to a new agreement between Silversea and the Broward County Commission. "Silversea Cruises has been a valued customer of Port Everglades for many years, and with the agreement in place, we look forward to welcoming Silversea&apos;s newest flagship Silver Muse when it makes its U.S. debut this fall," said Port Everglades Chief Executive & Port Director Steven Cernak. 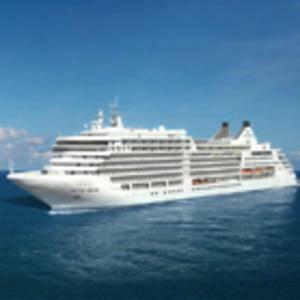 Silversea Cruises has been sailing from Port Everglades since October 2000. The 596-passenger Silver Muse is scheduled for five sailings next year in addition to voyages on Silver Spirit, Silver Whisper and Silver Wind also sailing from Port Everglades. The agreement is for an initial two-year period with the option to renew for an additional three years, with a minimum of 12 sailings annually. Silversea Cruises, which is chaired by Manfredi Lefebvre d&apos;Ovidio, is recognized as an innovator in the ultra-luxury cruise line industry, offering guests large-ship amenities aboard its intimate, all-suite vessels: Silver Wind, Silver Shadow, Silver Whisper, Silver Spirit and Silver Muse - all designed to offer an atmosphere of conviviality and casual elegance. With the inclusion of the expedition ships Silver Explorer, Silver Galapagos, Silver Discoverer, and with Silver Cloud joining the Expedition fleet in 2018, Silversea&apos;s itineraries encompass all seven continents and feature worldwide luxury cruises to the Mediterranean, Caribbean, both Polar Regions and 1000 fascinating destinations in between. Located in the second largest county in Florida, Broward County&apos;s Port Everglades is consistently ranked as one of the three busiest cruise ports in the world with more than 3.8 million passengers in 2016. Ten cruise lines, one ferry service and more than 40 cruise ships sail from the South Florida seaport. The Port&apos;s wide-ranging fleet of cruise ships provides guests with an array of cruise vacation choices from the sunny Greater Fort Lauderdale, Hollywood and Dania Beach area. View details on the latest cruise offerings at porteverglades.net or contact us by emailing PortEverglades@broward.org.